Living room with fireplace, flat screen hdtv, air conditioned. Sunny Master Bedroom, queen size bed. Master bedroom, cable TV, window air conditioner in season. Second twin bedroom. All have window ACs. Part of front yard. Our ''street'' is between the fence & trees. Side yard also abutting conservation land. 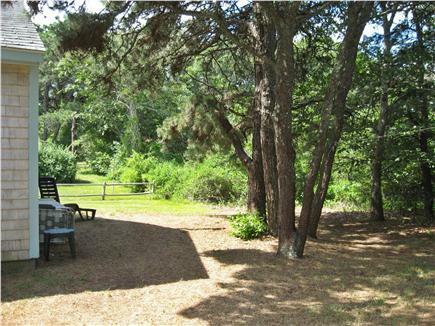 Tucked away at the end of a sandy private lane, an easy 4 min. walk to the beach. 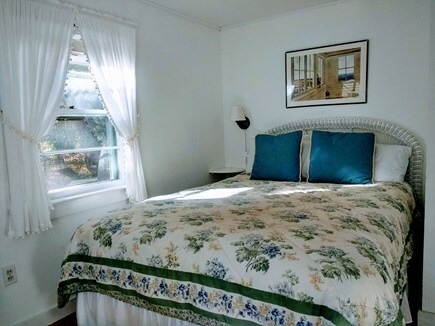 No beach fees, no parking hassles.The cottage is a sunny, comfortable, casual family beach house furnished for relaxed vacation living. The street does not go through, so it's safe for kids and anyone who likes a nice quiet spot. Peaceful conservation land on two sides. Stone patio for outdoor dining and seating. 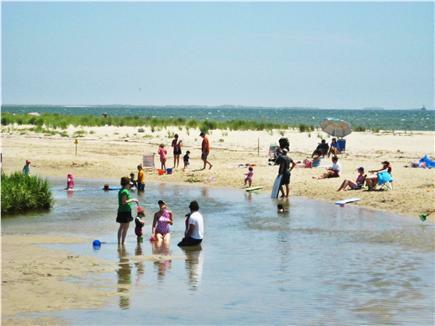 Popular Ridgevale Beach is on Nantucket Sound, with warm salt water and gentle waves; perfect for swimming. Kids like exploring and splashing in the large tidal pools. There are lifeguards, a snack bar, kayak and sailboat rentals and sanitary facilities. Downtown Chatham is a short 3 mile drive. It's a wonderful village to explore--do a little window shopping, peek at the antique homes in the ''old village,'' take in a Chatham A's baseball game or an old-fashioned band concert. Of course you have to see the lighthouse and the breathtaking view out over the Atlantic. Or just relax back at the cottage, and whirl up some frosty drinks in the blender. Cook out on the gas grill--maybe try a clambake fresh from the famous Chatham fish pier! 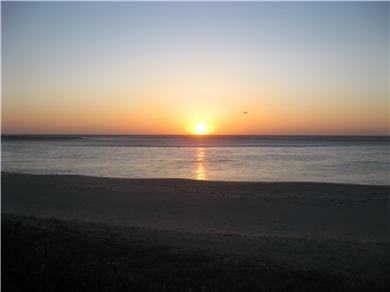 Wrap up your day with a stroll back to the beach; (you won't believe how bright the stars are!) and plan another memorable Cape day as you cuddle up in front of the fireplace. Additional pictures available upon request. Additional pricing info: $200 Security deposit + $110. cleaning fee. Discount for multiple wks. State and local taxes of 12.45% will apply. Ranch house; single floor living, no interior stairs. The house is walking distance from the beach/lake. Had so muh fun going to the shops on Main Street and exploring Chatham as a whole. I have taken my grandsons to the Cape for a week every summer. We have memories of each of the summers, but this year was different. This year was the best week of my life! Everything was perfect. 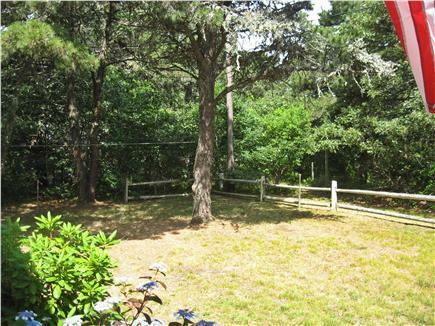 The cottage is just perfect, homey and with a yard big enough for all kinds of family fun. We played ball, sat outside playing games at the picnic table, and cooked on the grill at night. The location could not have been better. The boys are 6 and 8, they got to ride bikes and scooter down to the beach every day. It reminded me of my childhood when I was allowed to ride my bike to school by myself. My grandkids rode to the beach, less than 3 blocks, while I pulled the wagon with all the supplies for the day. The wagon was one of the gifts found at this lovely cottage, available for each renter. The beach was and is my favorite family summer beach. My grandkids eat like every hour faithfully, I had to pull them away from the crabbing and swimming and the island they boogie boarded too, every day for lunch. They did the Cape Cod baseball clinic every morning, well spent money if I do say so myself! The boys met new friends that they saw daily at the beach, the night games, and different places we visited during our stay. My oldest grandson, when asked his favorite part of vacation said "Everything." My little one told me every day that I was the best! You definitely have to do the fishing trip from Harwichport, 10 minutes down the road. They caught tons of fish, kissed them before throwing them back into the ocean, hauled in a lobster trap full of crabs, and actually swabbed a deck. Try Oyster Pond for the day with free parking. The kids got to hold a live horseshoe crab and swam out to the raft for tons of water fun. I had so much fun I didn't even finish one book, and I usually read 2-3 a week. Right next to the baseball field is a great laundromat so while they had fun I walked back and forth getting laundry done. Everything is right there for you, plan on using less than half a tank of gas! As you can tell I loved everything about my vacation, but if where you lay your head at night is not good, no vacation will survive! This cottage will help make even a rainy day survivable. Do yourself a favor and let Martha and Jeff guide you on your best vacation ever with the welcome notebook that has all kinds of information on what to do for your time away from home. I woke up before these boys every morning totally refreshed. The beds are awesome and all the activities had the kids sleeping before 9 and waking after 7. Perfect in every way! Thank you again to Martha and Jeff for the time of my summer and a memory for my grandsons to remember for summers to come. We are just back from a wonderful week at the cozy cottage. It was exactly as advertised and more. It is located beside Ridgevale Beach, which is a 4 minute walk from the cottage and the beach was fantastic for our kids. The cottage was extremely comfortable, clean and ideal for our family. It had wifi and a spacious garden at the end of a road making it very safe. We were welcome to use the beach equipment that the owners had, including beach chairs and a red trolley cart for carrying everything to the beach which was brill! Chatham is a really cute little town and about a 5/10 minute drive. There are lots of lovely restaurants nearby and we were happy that we could drive to the shops too. Also nearby is a excellent ice cream store and a great pie shop about 1K away that had lovely pies, muffins and coffees. We had a wonderful holiday, being there for July 4th was very special and there were great fireworks on the beach. I am a runner and enjoyed nice, early morning jogs and covered some of them on the bicycle tracks nearby. Would recommend this cottage to families or someone looking for a quiet location, near a beach and towns that you can drive to. The owners were extremely helpful, answered any questions by text and left out lots of helpful information on the area. The location is simply perfect - a very short walk to the ever popular and loads of fun for kids Ridgevale Beach. House is small but don't really need much in terms of house size when at the beach. Beds are comfortable. Owner very friendly, quick to respond and wonderful to work with - booking was super easy. Lovely secluded (dead end street) cottage. Short walk to excellent beach. Rental is well equipped & in great condition. Owners left an informative roadmap of local events & tourist's favorites! Homeowners easy to work with. Highly recommend as a great getaway. Great location! We loved being able to walk to the beach so easily. Owners are very nice as well! This is truly a home away from home. Clean, comfortable, and with all the amenities you could hope for. Quiet, dead end road with a peaceful outdoor setting. A quick walk to the perfect beach for families. We have been lucky to stay here many years, and have enjoyed very positive interactions with the homeowners. This cottage is an absolute gem! 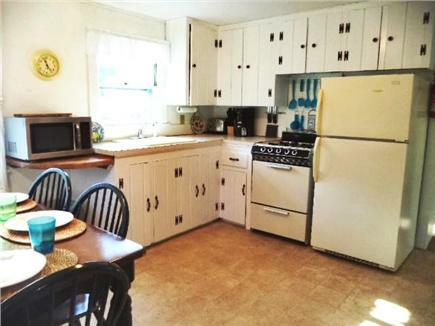 The cottage was very clean and located on a private and quiet dead end road with a nice big yard. The beach was in walking distance (about 4 minutes away). A great location. Also, there was a tidal river that you crossed to reach the beach that my children spent hours of catching crabs. 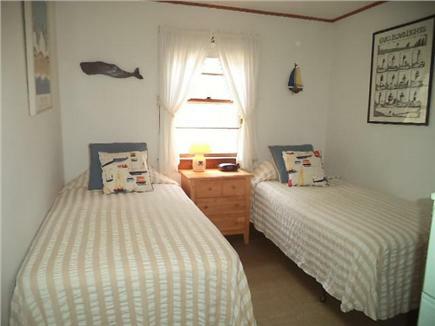 I strongly recommend this cottage for your next Cape Cod vacation. My family and I will be back. This is the perfect place to getaway. We have been coming back to this house for years now and consider it our home away from home. 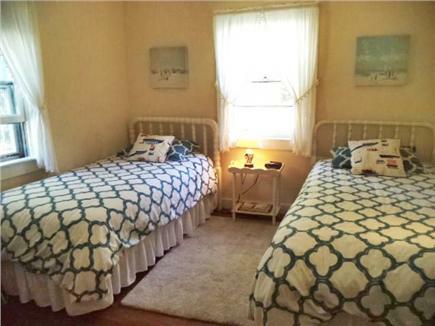 It is located on a quiet street close to the beach and has all of the modern amenities you could need. We have recommended this house to family and friends and can’t wait for our next visit! It was a pleasure to walk so easily to the beach and back to the cottage. The cottage was just right, very nice decor and I loved the privacy.